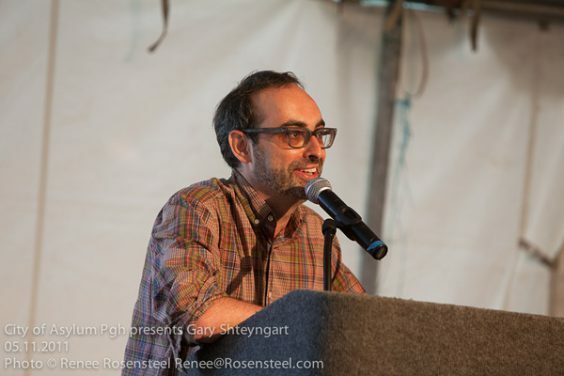 Shteyngart in conversation with Sampsonia Way preceding the reading. 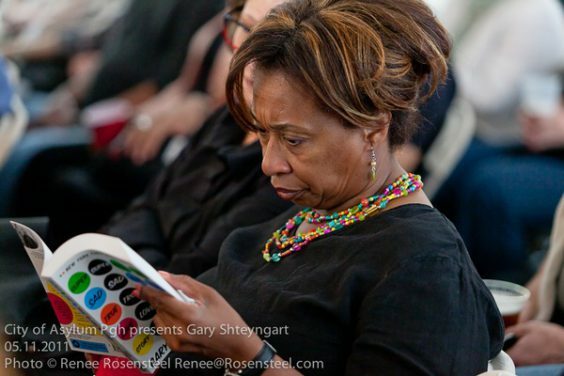 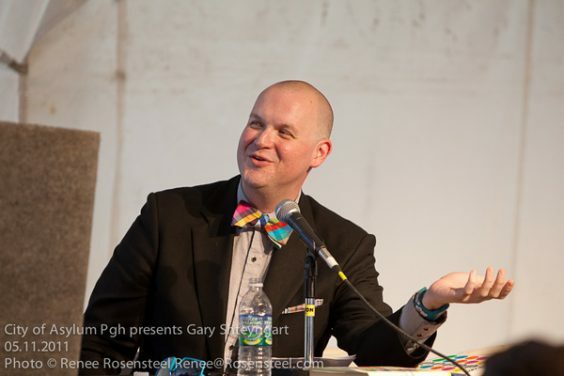 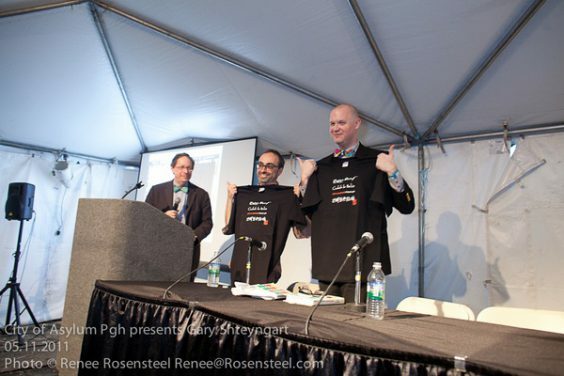 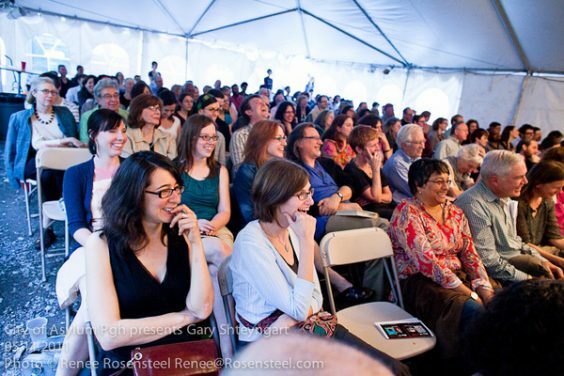 On May 10, 2011, Russian-American writer Gary Shteyngart read excerpts from his novel Super Sad True Love Story to roughly 160 people gathered under a tent on Sampsonia Way. 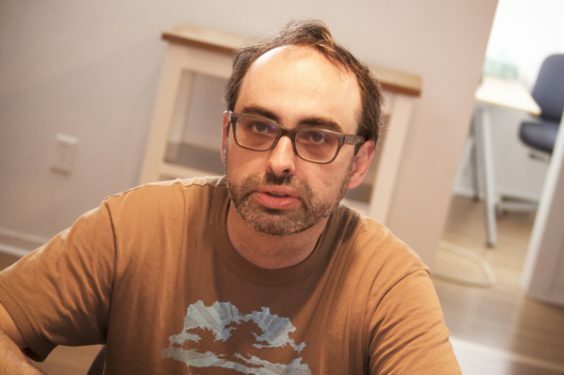 In tribute to the book’s ubiquitous äppäräti — iPhone-esque devices that stream videos, applications and even users’ thoughts — the event was bookended by two lighthearted exercises in social media: For 10 to 15 minutes preceding the reading, moderator Eric Shiner asked Shteyngart questions via Twitter; afterwards, the audiences’ Q&A employed the same technique. 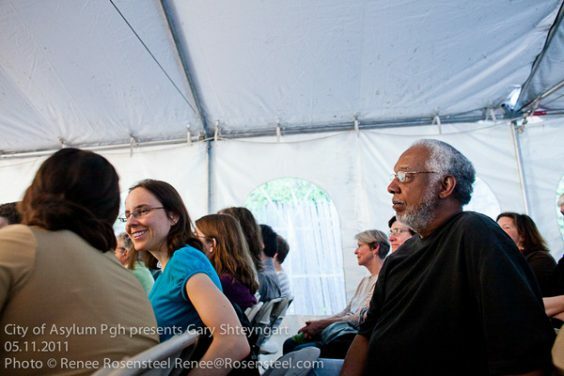 Watch a video of the event, which was sponsored by City of Asylum/Pittsburgh.